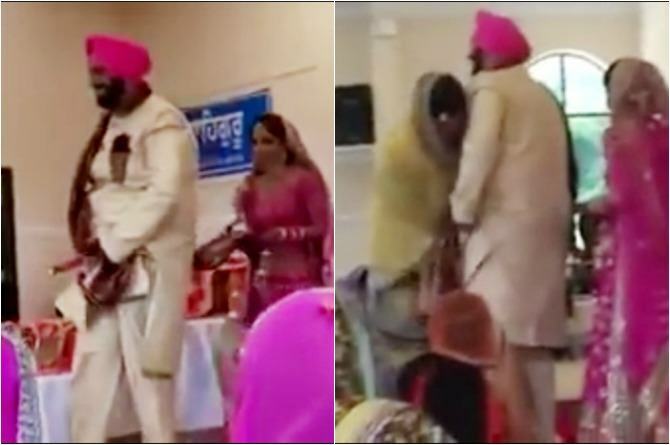 This Video Of A Punjabi Groom's Wardrobe Malfunction Will Leave You In Splits! 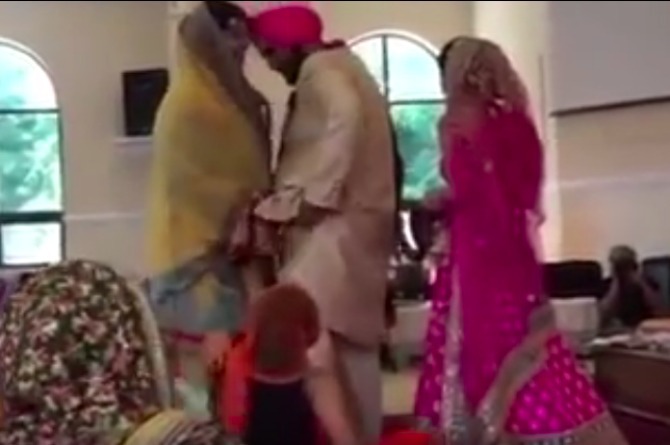 In this hilarious video, the Punjabi groom has a major wardrobe malfunction bang in the middle of his pheras, when his pyjama starts falling! For a couple, their wedding is perhaps the most important day. They look forward to having a perfect ceremony, hold each other's hands for the pheras, gaze into each other's eyes and basically look forward to making memories. Now imagine, during these customs and rituals if the groom's pyjama starts to fall off! 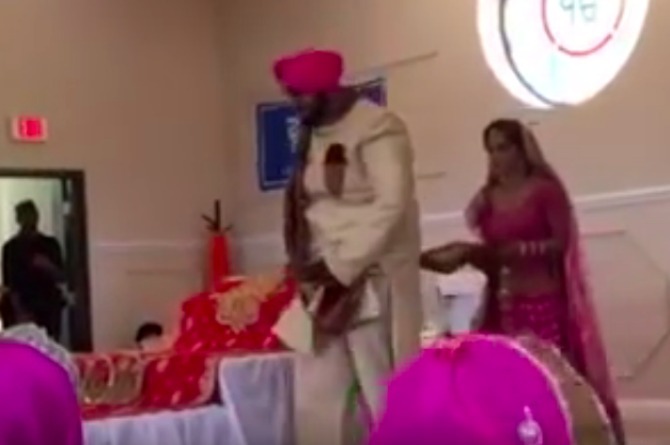 In this hilarious video that was recently uploaded, a groom has a major wardrobe malfunction bang in the middle of his pheras. His pyjama starts falling off and while he tries to hold it for a bit, he knows that the trick won't last long and his pyjama would go down. Seeing her son in trouble, the mother quickly gets up and comes to his rescue. She literally covers him with her dupatta and saves the day! Thankfully everybody including the couple laughed off the incident! This viral video already has more than 3,00,000 shares and if you haven't seen it yet, take a look for yourself! We are sure that the couple will narrate this incident to their grandkids in good humour! Wish them all the best! If you have any insights, questions or comments regarding the article, please share them in our Comment box below. Like us on Facebook and follow us on Google+ and Twitter to stay up-to-date on the latest from theIndusparent.com!